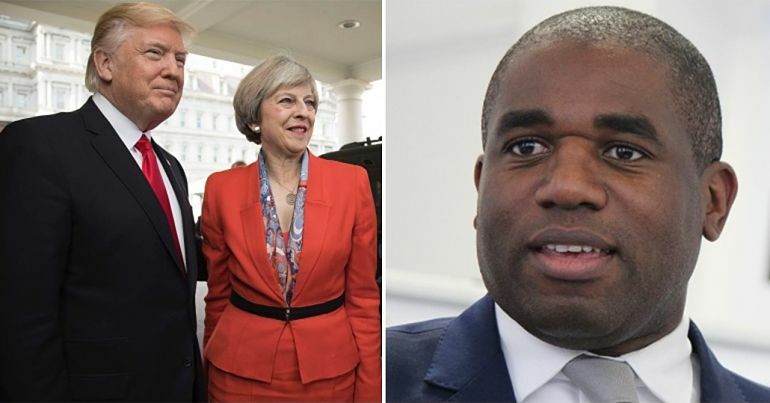 In the era of Donald Trump, it’s increasingly hard to be genuinely shocked. But his latest gaffe involving the religious celebration of Diwali tests that theory to the limit. In fact, it’s likely to challenge even Sarah Palin’s infamous ‘Africa is a country’ gaffe. 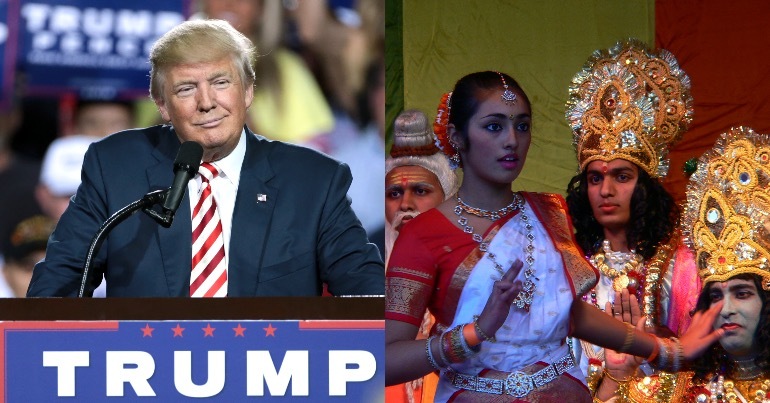 A Hindu celebration without Hindus? 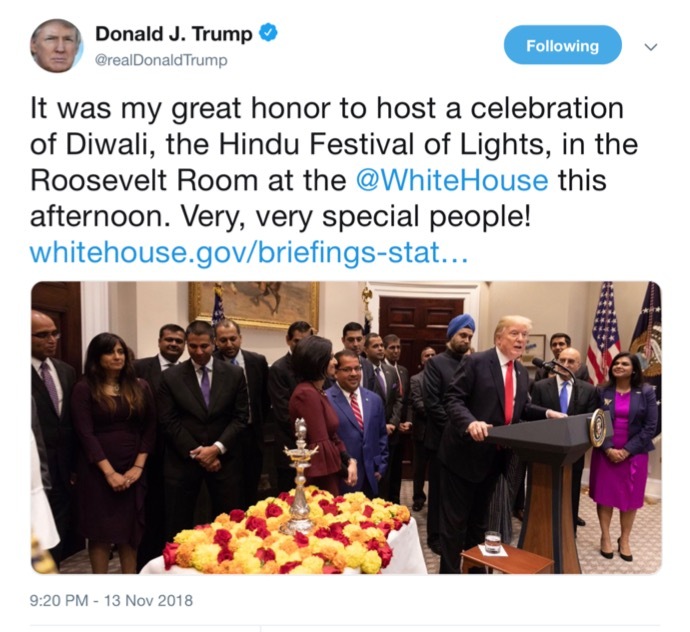 Trump is, of course, the perfect host for Diwali, a Hindu celebration of “the victory of good over evil, light over darkness, and knowledge over ignorance”. 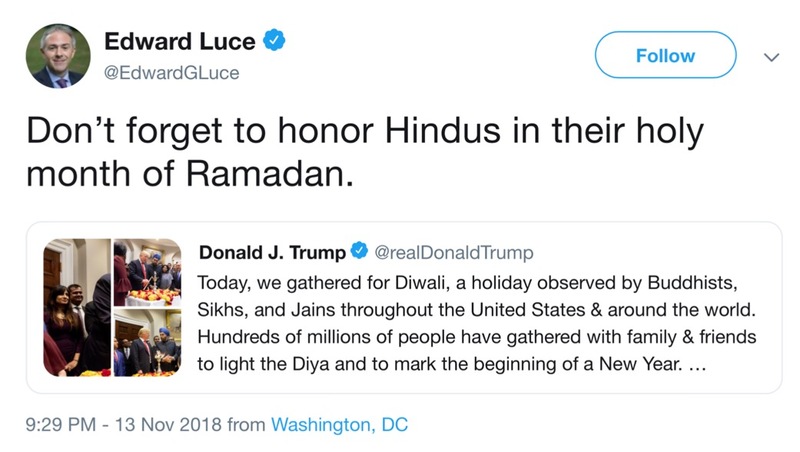 But there’s one thing missing from this – the thing that most would argue is the most critical element of Diwali: Hindus. Perhaps it was an honest mistake by Trump. 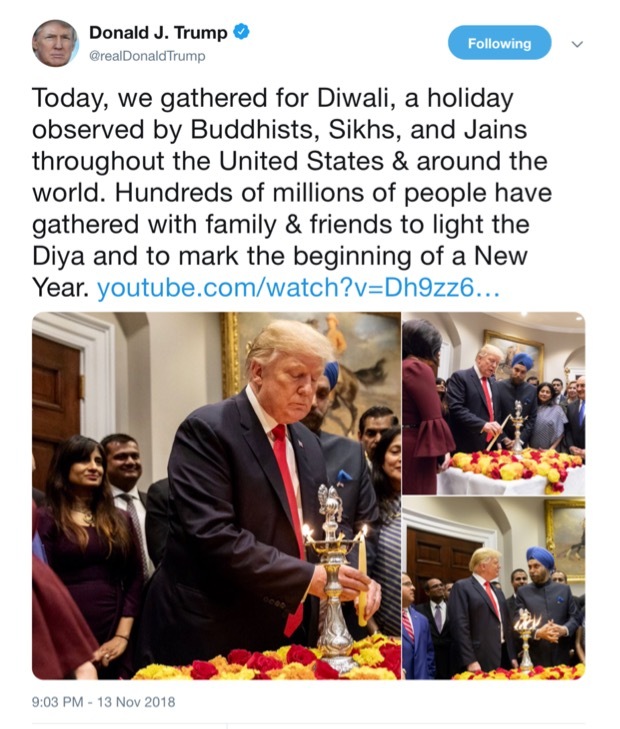 Maybe he was simply acknowledging that other faiths also celebrate festivals alongside Diwali. But some others weren’t accepting this generous interpretation. 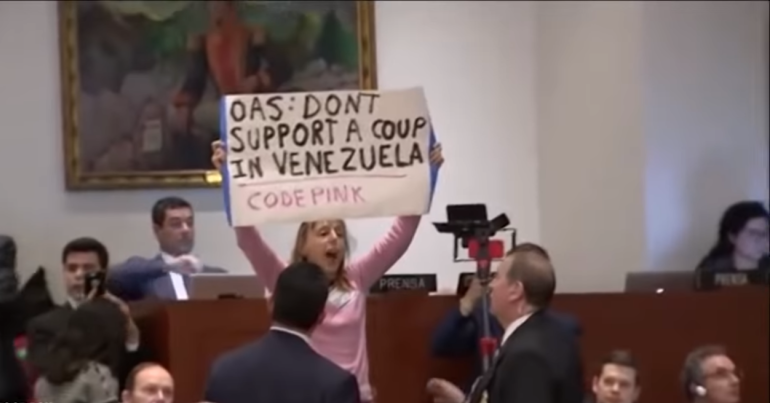 For many, it was yet another demonstration of the president’s ignorance. After all, as the Hindu faith is estimated to have over a billion adherents worldwide out of a total population of 7 billion, it’s kind of hard to miss. 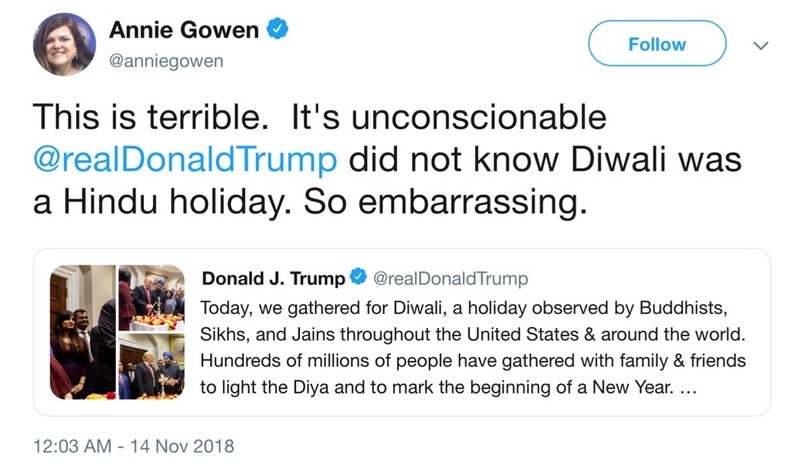 Diwali was last week. But you can celebrate Christmas in January if you just want a photo op. We live in truly strange times. 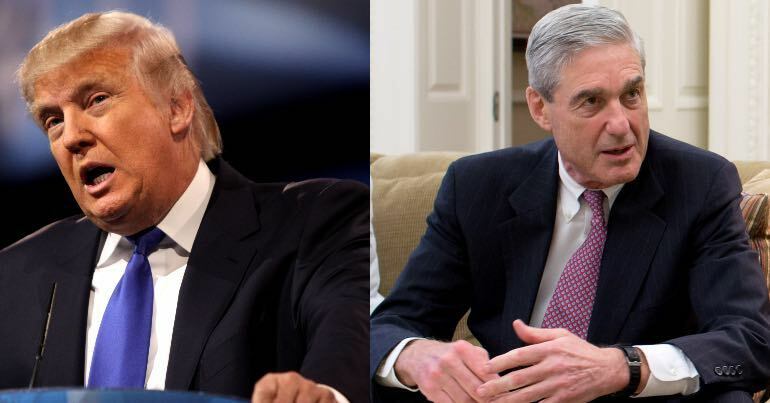 But at least we can all sleep safely in the knowledge that this man does not have access to a nuclear arsenal capable of destroying the planet ten times over. Oh, wait, what? – Support Occupy Democrats, a counterweight to the extremism of the current Republican party and neoliberalism of the Democratic Party.